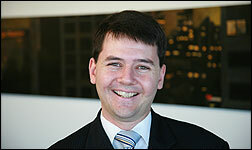 Since 1997 Andrew has been working in and around both the State and Federal Parliamentary systems. He has extensive contacts at all levels within the bureaucracy and also has the experience, knowledge and understanding of Government decision making processes. His political contacts are extensive across the spectrum and he is held in high regard by all sides of politics. Andrew started working for Open Door Consulting in 2005 and took ownership of the company in January 2008 when the founder of the Business Greg Rudd decided to leave the industry. Why did Andrew take over the business? After three as the National Manager State and Local Governments for Open Door Consulting he had built up a wealth of contacts and experience in both the Government and Business sectors and felt the challenge was well within his capabilities. Andrew has a strong passion in assisting business to reduce the ever expanding divide that exists between the private and public sector. He understands that Government does not have all the answers and it is only by actually having an understanding of the decision making maze that business can begin to deal effectively and efficiently with Government therefore maximizing outcomes for all. After years of observing business dealing with Government it became apparent to Andrew that there was a void in the market place for professional strategic consultants that could aid business in better understanding the core drivers of Government and more importantly the impact of the political process on the decision making of Government. By using his intimate understanding of Government, the “inside” decision making process as opposed to what many may perceive is the “outside” one, identifying key people of influence through a web of influence approach and then formulating pitch and approach strategies could only aid in assisting to construct the foundation of success. It never ceased to amaze him how some very smart businesses were attempting to influence Government solely on the basis of a knowledge of the decision making process without applying any understanding of how the decision making process is actually formed. This “knowledge” based approach only led to companies investing time and effort and therefore as a consequence vast sums of capital into fruitless meetings which most of the time led to dead ends. He also has a passion for communication and believes that Business to Business communication is an integral part of growth and prosperity. He has developed thorough and successful communication programs in sales and relationship building and conducts presentations to industry on professional communication techniques. He works with a broad range of clients, from some of Australia’s largest companies to some small niche ones as well; he has a philosophy that no client is too big nor too small as long as they can convince him of their cause he will do all he can to leverage his 15 years’ experience of Government and Business knowledge in order to help clients achieve success.